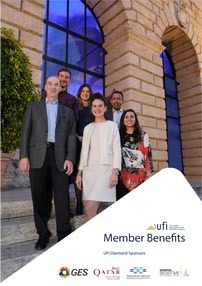 If UFI’s Global Barometer is anything to go by, then the new year resolutions of many exhibition industry companies will revolve around the digitalisation of their businesses. Globally, 55 per cent of the companies UFI surveyed said they have already changed internal processes and workflows to be more digital, with the UK, Germany, the US and China most active in this respect, while a quarter of companies reported that they have developed a digital transformation strategy for the whole company. A fifth even recognised the importance of a digital campaign by creating a designated function (Chief Digital Officer, for example) in senior management. 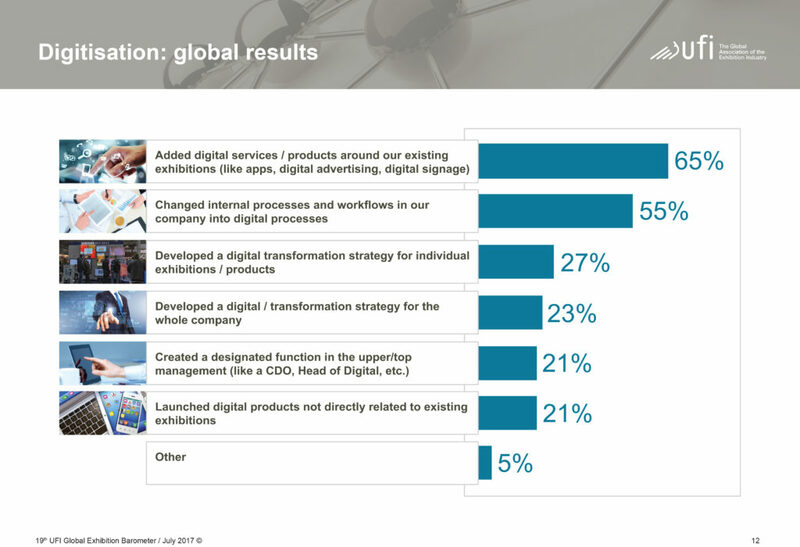 As to the approach they are taking, two thirds of survey participants said they have added digital services/products (like apps, digital advertising, digital signage) around existing exhibitions, while a fifth of survey participants claim to have launched digital products not directly related to existing exhibitions; a trend particularly visible in the UK (50%) and the US (36%). But whatever goals they are aiming for as they roll out digital strategies in 2018, how can a company be confident they are heading down a blossoming technological avenue and not some derelict digital cul-de-sac that comes at great expense both financially and in terms of labour? Many technologies already exist with to satisfy demand in our industry, from data harvesting to at-show interactive tools, and even transactional software utilising the much-heralded blockchain technology (which I will deal with courtesy of expert advice in a future blog) and not every penny will fit the slot. UBM’s Director of Event Technology, Govind Sharma, says that while we can ask our attendees what they want, to have any success we will also need to watch them and seek patterns that emerge from the data. “It’s very compelling to interact with customers, do surveys, have deep and meaningful 45-minute interviews with customers on what they really want. But if we look at a trade show that is 50,000 people, then statistically for you to make any sort of decision which is valid, you ought to have about nine per cent of people saying the same thing,” he told the crowd at AMR’s Transform Europe event in December. 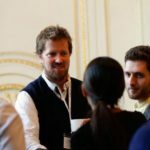 “So while it’s an important input – and any organiser that has identified a use case will value this input – there are other avenues that provide us with customer insight. One is the behavior of data; whatever data we can capture, and whatever pain points that we can establish are coming across. Another is like the Apple analogy: let’s throw an iPhone to them and see if they find value. Or let’s throw Facebook at them an see if they find value. Nobody went to Mark Zuckerberg and said ‘hey, you didn’t interview them first’. And of course even with the best data in the world, the chance of failure is high; nothing worth having ever came easy. The trick here is to embrace failure as part of the journey. To borrow from Mandela: we never lose, we either win or learn.